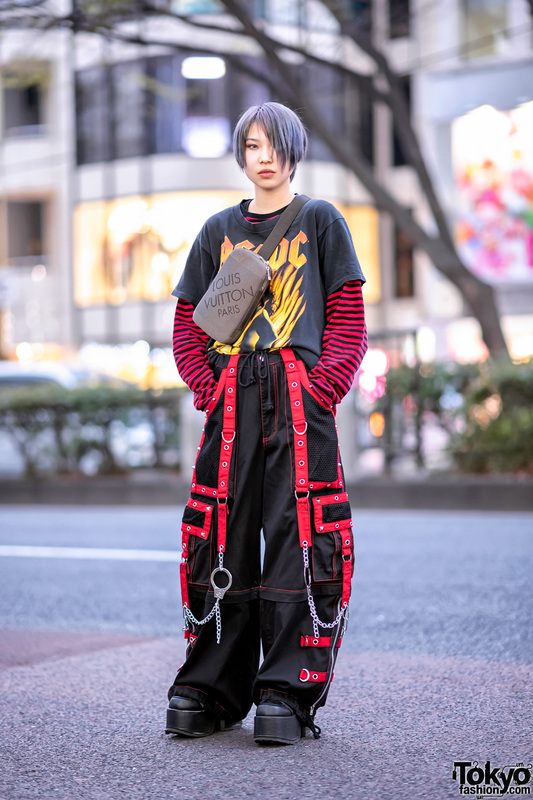 Chii is a 20-year-old fashion student we met on the street in Harajuku. 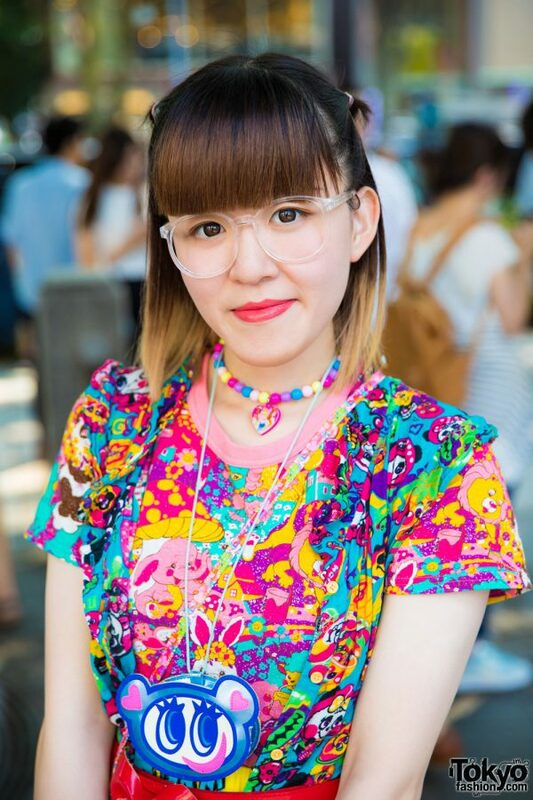 She caught our attention with her all over print colorful ensemble. 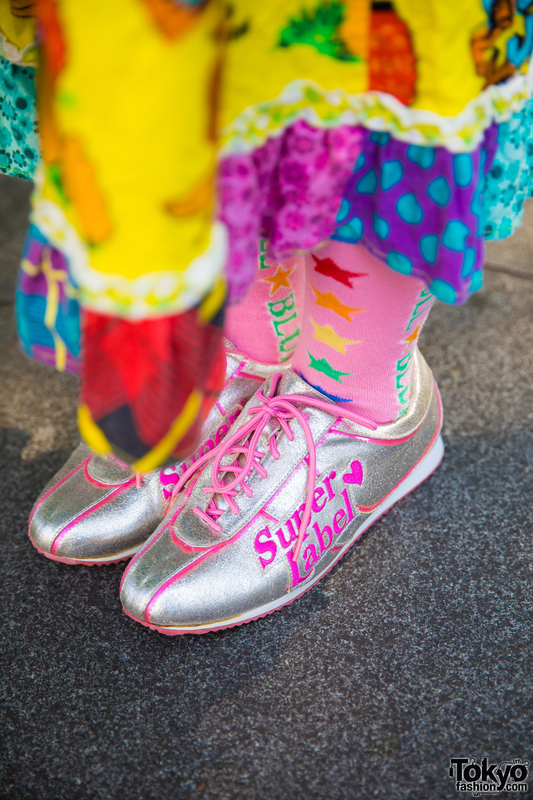 Chii’s kawaii and colorful fashion consists of a layered printed tops from Grand Ground and Love Revolution, a long ruffle skirt from Jam, printed socks, metallic sneakers from Angel Blue Super Label, and a tote bag, also from Angel Blue. 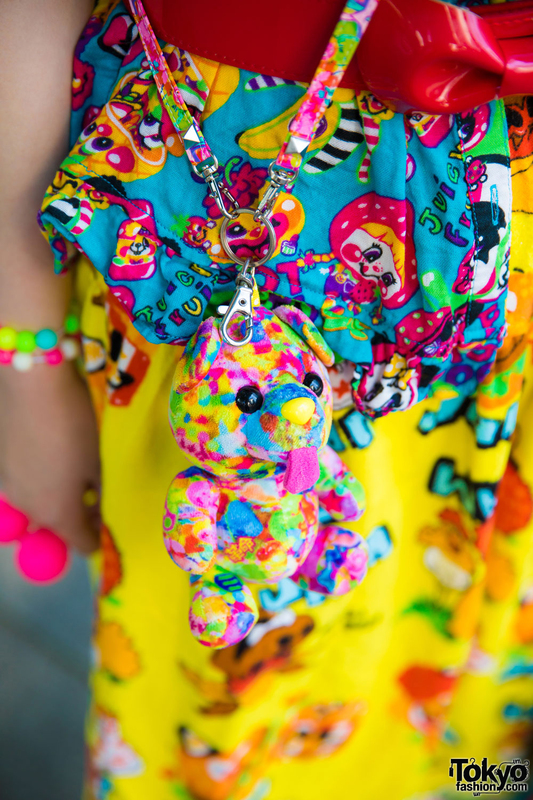 Her colorful beads, bows, and other kawaii accessories are from 6%DOKIDOKI and a variety store. 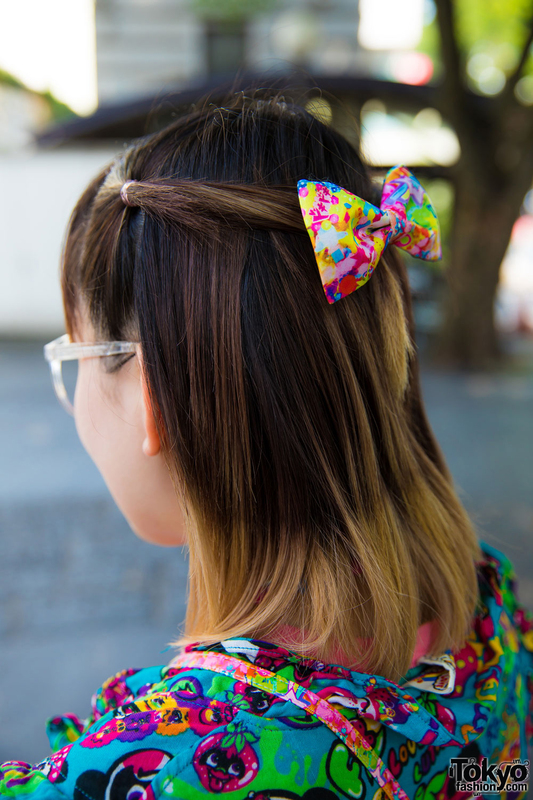 6%DOKIDOKI is Chii’s favorite brand, and she listens to the music of One OK Rock. 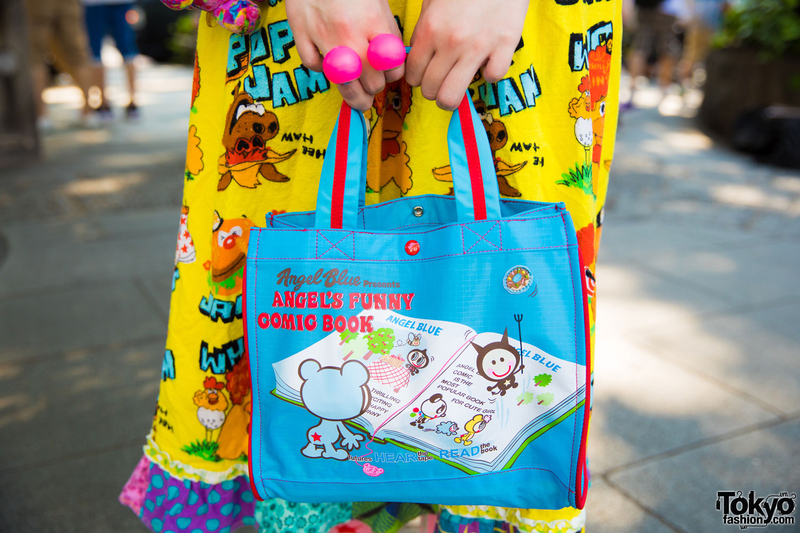 Follow her on Twitter and Instagram for more of her fun kawaii looks!